Gabriel St. James, Duke of Wesbrook, desires any birthright other than being the son of a hideous man. Unfortunately, Gabe knows the exact moment he became like his father—a night that has haunted him for seven years. Resigned to his future, he is unprepared when his illegitimate—and more importantly unbeknown—young daughter appears on his London doorstep. With no one to care for her but him. Lady Elizabeth Blakely has loved only one man—her brother’s longtime friend, Gabe St. James. Not even his rakish and, oftentimes, wicked behavior dissuades her. Yet it all seems hopeless as he continues to overlook the woman she has become. When Elizabeth learns Gabe is in need of assistance with his daughter, she seizes the opportunity. Gabe, less than thrilled with the situation—mostly due to his fierce desire for his best friend’s sister—has no option but to concede. Besides, a more sinister threat lurks; someone is blackmailing Gabe with his darkest secret. Through it all, Gabe vows to resist Elizabeth, no matter how tempting. Sometimes it’s better to surrender . . . The next morning Gabe found himself sitting at his cluttered desk once more. But today was different. Today he couldn’t find his focus. Today visions distracted him. Visions of a sweet, delectable, half-dressed woman perched on the very desk that now held a layer of books, ledgers, and papers. A grin arched his upper lip when he recalled the uproar the mess he and Elizabeth had left in the study had caused. Thinking the intruder had returned and rifled through the desk, Wilkes had awakened Gabe in a very controlled Wilkes-like state of distress. Gabe had had a devil of a time trying to explain how everything from the desk had come to be on the floor. It amazed him that he’d kept the satisfied smirk off his face, knowing the real reason his study had been left in shambles. Either way, Wilkes must be losing his touch if he’d believed Gabe’s lack of organizational skills had resulted in piles of documents tipping over and sliding to the floor. It had sounded like pure rubbish. Thankfully, being the Duke of Wesbrook had benefits. Not being questioned happened to be one of them. Uncomfortable with someone other than himself or Phillip going through the papers, Gabe had rolled from bed, dressed, and retreated to the study before others caught sight of the mess. After righting the papers, the hour was still early. Gabe had started going through the remaining reports. However, at his current rate, he’d never be done. It was all Elizabeth’s fault. Maybe not exactly her fault. His distraction was no one’s blame but his own, but like most things in his life, she was intricately attached to it. Weary with staring at numbers and seeing nothing but gibberish, he shoved the ledger away. Yesterday might have been an aberration. Maybe he didn’t have what it took to be a responsible landowner. Perhaps he should stay with what he knew . . . gambling, drinking, and pleasuring women. Strike that, pleasuring a woman. One very singular woman. But after telling her he couldn’t marry her, he’d be surprised if she ever allowed him to touch her again. Except this was Elizabeth and when she loved something, she let nothing stand in her way. Something he was only now beginning to understand. Nevertheless, for her own sake, he would do what was necessary to keep his lustful intent away from her. The last thing he needed was for her to become with child. Addie Jo lives in the same cold winter and hot summer area of Minnesota where she was born and raised. And frankly, wouldn’t live anywhere else. 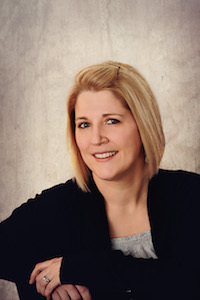 Sharing in the raising of her three extremely rambunctious boys is her very understanding husband that so graciously enabled her to fulfill her dream of writing. Keeping Addie Jo company while she writes (besides her wonderfully loud children) is her yorkipoo, Bella, who is never far from Addie Jo’s side. Links to Addie Jo’s website, blog, books, etc. Good morning, Addie Jo, and welcome to Karen’s Killer Book Bench. Loved this excerpt! Cannot wait to read both of these books. I’m already intrigued. Thanks for stopping by to share your books with us! Thank you so much for hosting me today and for the tour support!! I’m sorry my day job didn’t allow for me to stop in earlier. I popped in before I ran to parent teacher conferences (gotta love children) but am only now finding a chance to say hi!! I’m glad you enjoyed the excerpt and that it caught your eye!! Looks like a good one! Thanks for the excerpt. Thank you for stopping by Rose! !